There is a wide range of activities where service contracts can be deemed beneficial and necessary. Especially in transactions where the professional relationship between the business and the consumers or clients is essential to be taken cared of, service contracts play a vital role in ensuring that there is a document that can serve as the platform for all parties to identify their rights and responsibilities. it is highly suggested to refer to existing samples used by businesses in the same industry where you are currently at. It will also be helpful to browse through downloadable templates that can guide you in terms of creating the base or layout of the document. 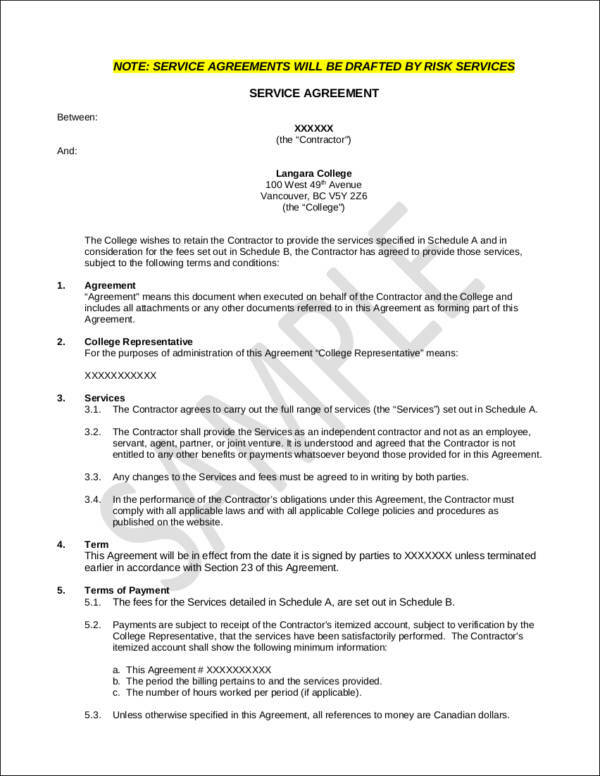 Feel free to use the service contract templates that we have listed in this post as your references. The information that you will put in a service contract should be based on the deliverable that you can actually provide your clients with. 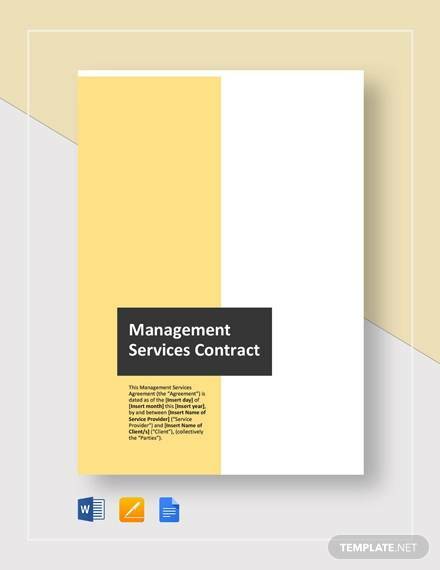 Though there are different types of service contracts, the content of each if used for the presentation of services that can be acquired by clients for a specific period of time is most likely the same. 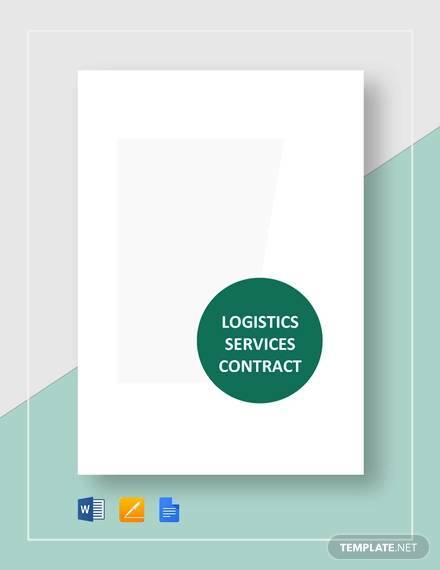 The service contract that your business will use can reflect the operational standards of the business, as well as how the business interacts with its clients. 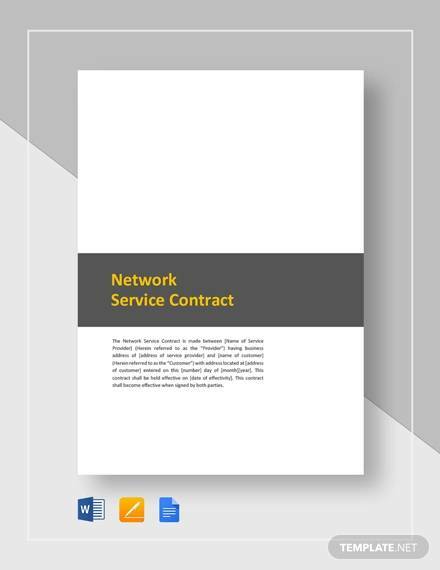 If you want your business to be in a good light in relation to service provision, one thing that you need to ensure is the development of a comprehensive service contract. 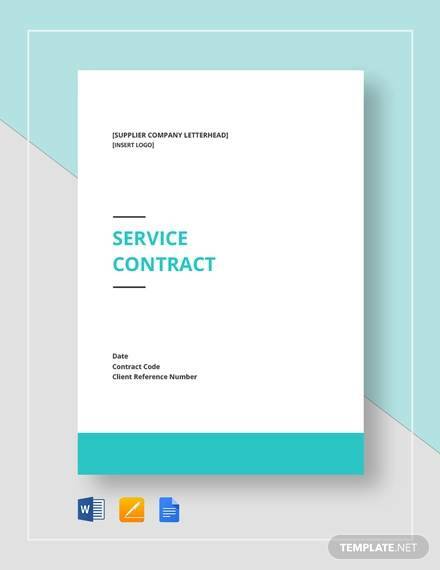 Here are the steps that you may follow if you already want to start the procedure of making a service contract that encapsulates all the details that you would like to provide to your clients or customers. 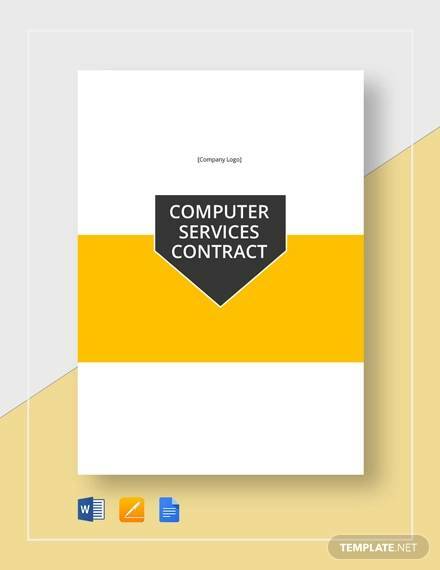 List down all the services where the service contract can be used. Have a layout of the additional services that you can give your clients with as long as they have acquired a product or paid for a service. You might be interested in a lawn service contract. 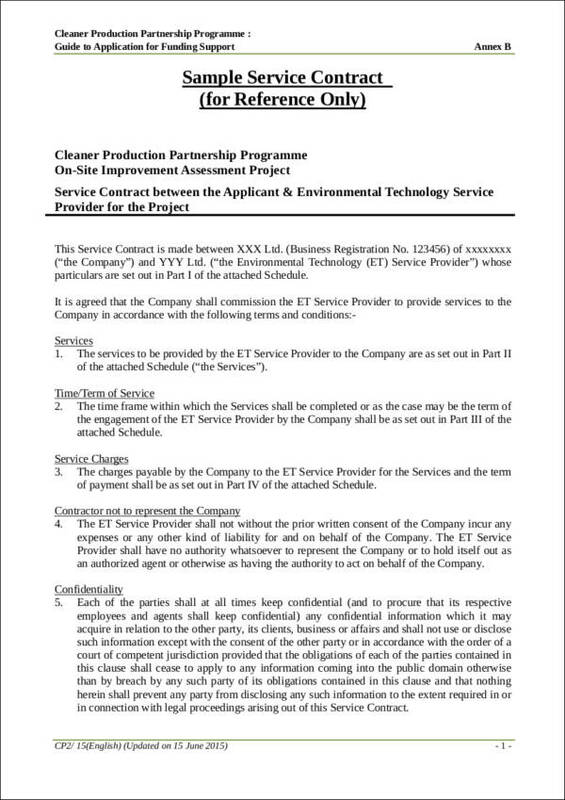 Refer to templates of service contracts which will allow you to format the document in an organized manner. 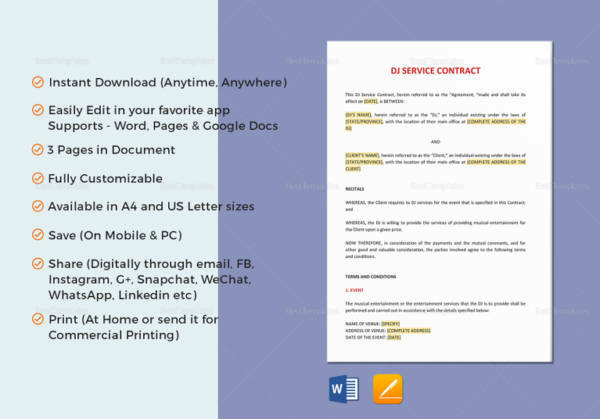 Put all the details that are essential to be included in the service contract that you have downloaded. These information have already been specified in the discussion above. Incorporate the regulations of the business in relation to the provision of services. Review the entire document and edit or update as necessary. Sign the document for validation purposes. Creating a service contract is beneficial not only for the business but also to the customers. Having this document at hand can actually make it easier for both parties to identify specific details with regards the services that a company needs to execute and deliver in exchange of the amount that the customer has paid. Listed below are some of the most common benefits of using a service contract within the timeline that the business will transact with a particular customer. 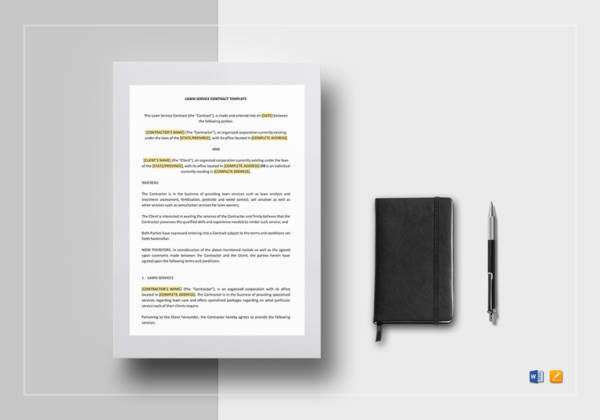 A service contract can protect the rights of the customers as it allows them to have an actual document that contains all the promises of the business. 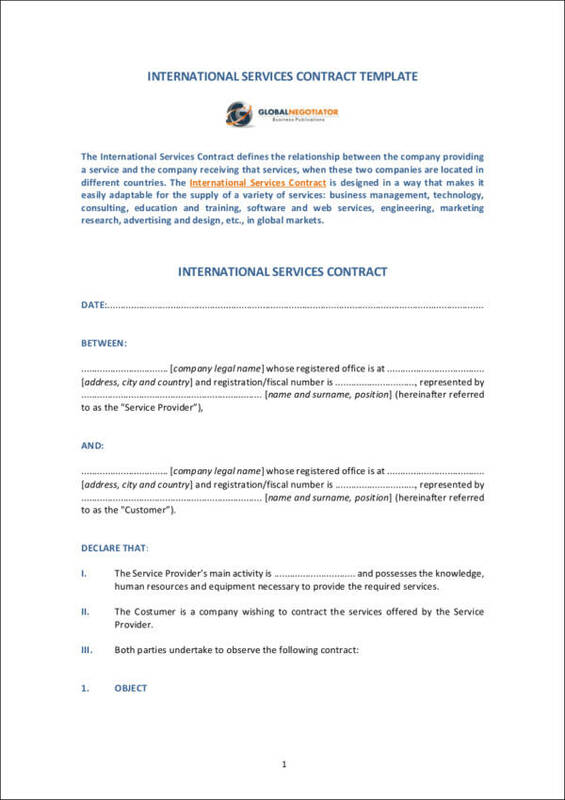 A service contract can be used by the business to track all the deliverable that is expected of them by the customers. 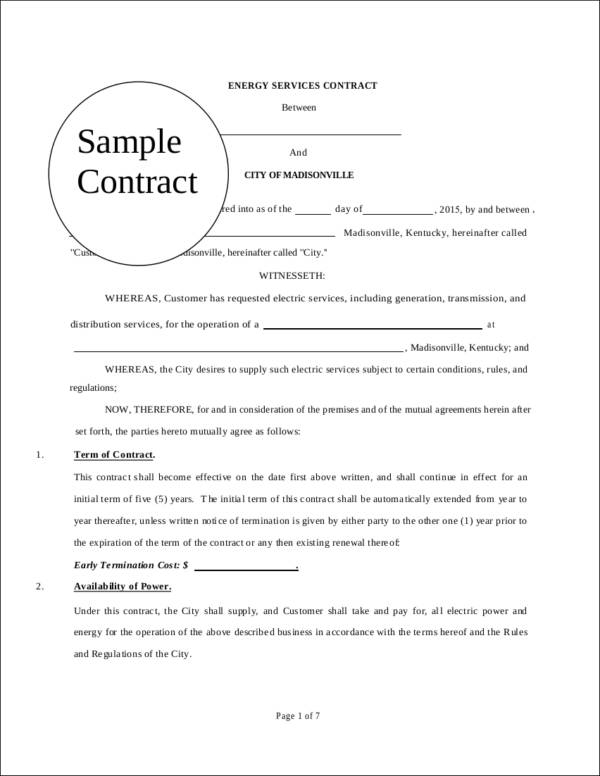 A service contract can be a document that can serve as the basis for comparison when discussing the claims of each party. 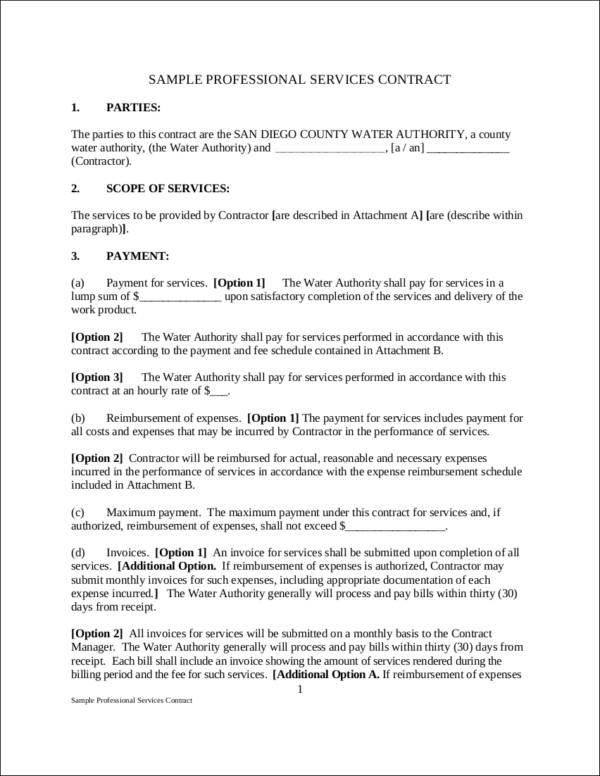 A service contract guides the correct implementation of service regulations and the like. 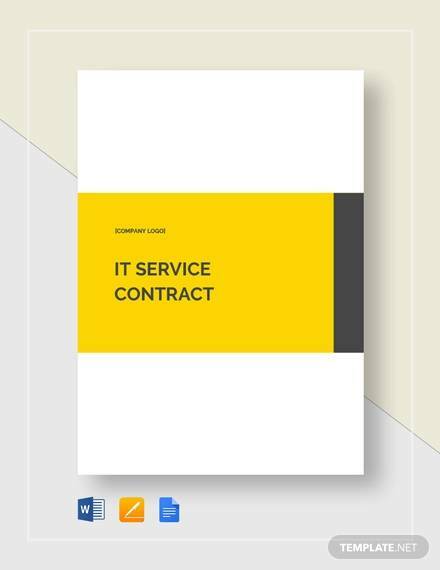 A service contract specifies all the details that should be known by the customer especially when it comes to the scope of the services that they have the right to have. If you will make a service contract, it is not only the content of the document that you need to put more focus on. 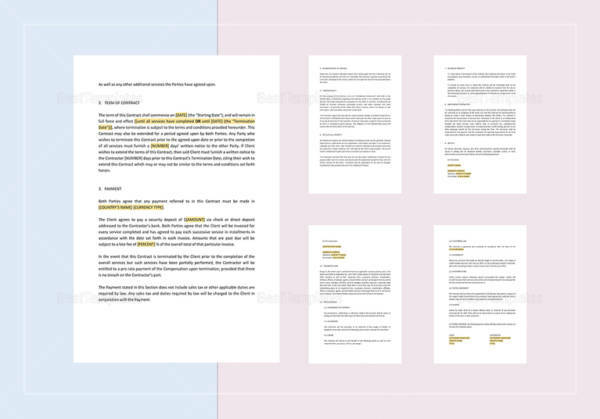 You also have to be aware of how this content is formatted to make sure that the document is understandable in the most precise way possible. 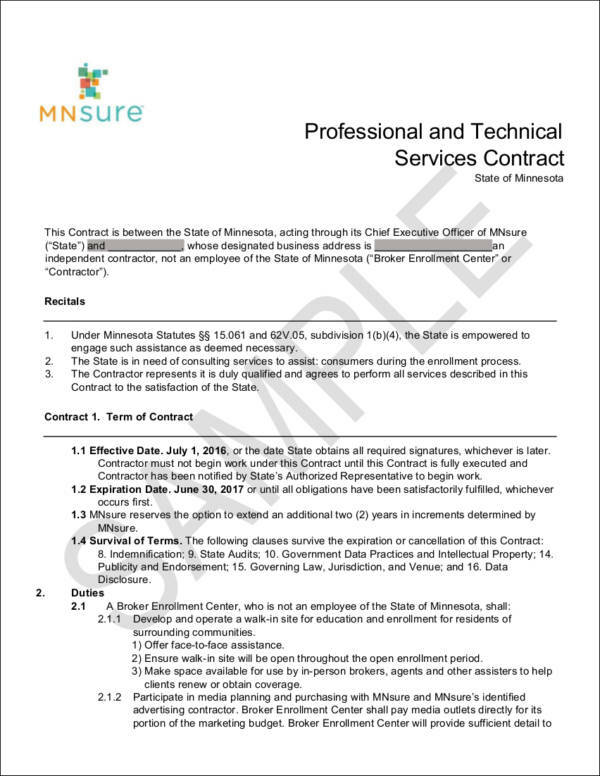 If you are unaware of how to effectively format a service contract, here are some guidelines that can help you do so. 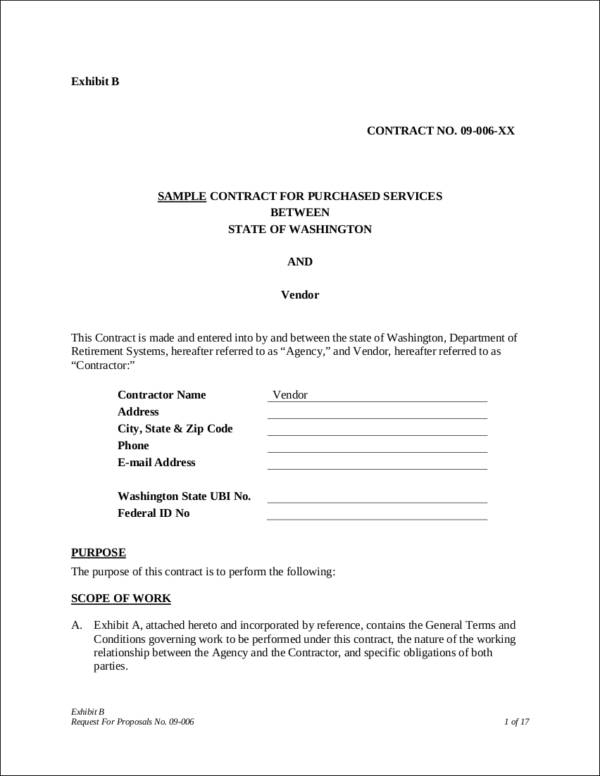 Create a draft of the service contract before putting all the information in the actual document. 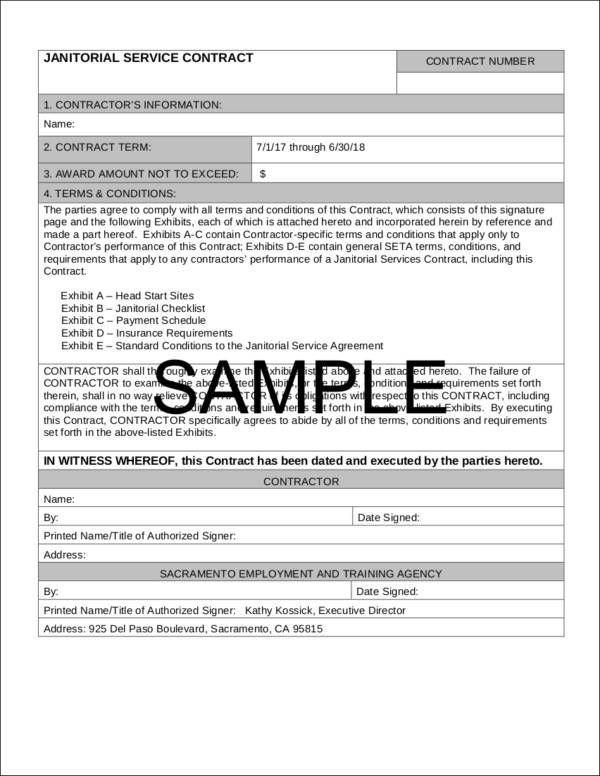 you may check out standard service contract samples as reference. 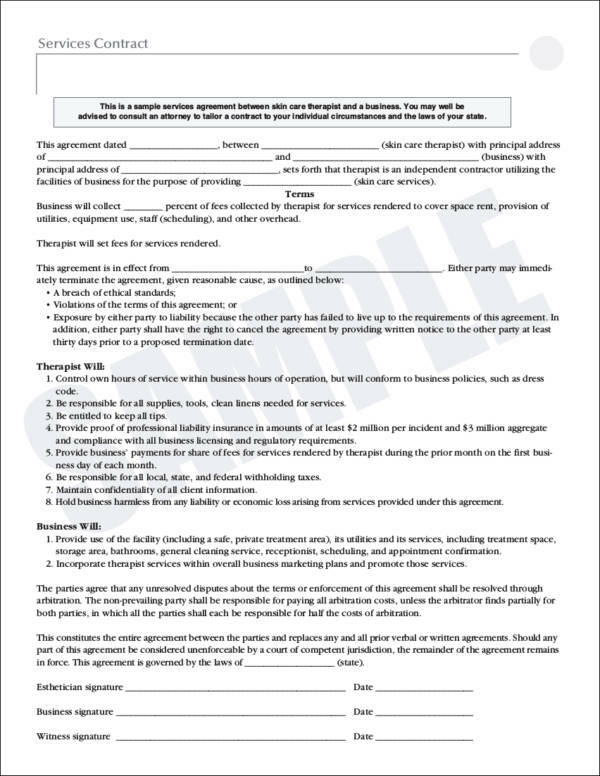 Identify the groupings of the service contract clauses so you can logically organize the flow of your discussion. 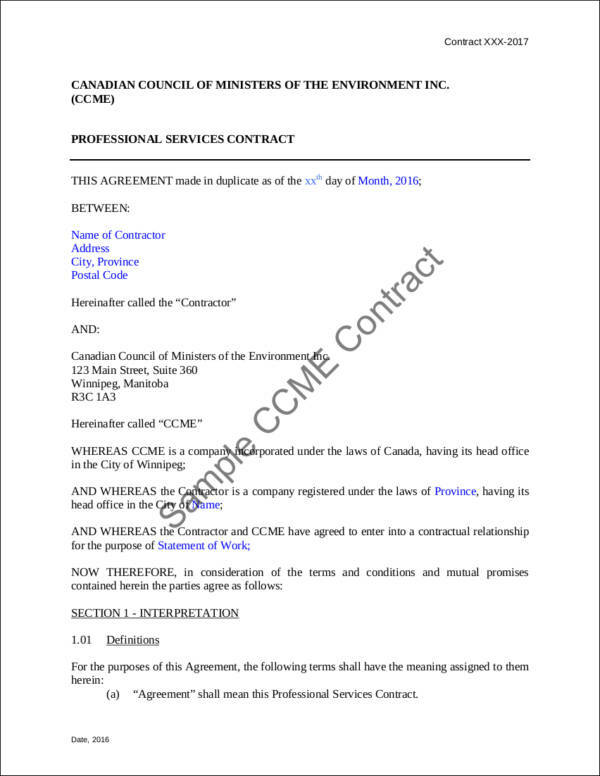 Create clause titles that can serve as the main discussion points of the service contract. Elaborate the implementation of each clause titles by giving out all the details through a broken down discussion. 1. Make a precise discussion on how you would like the customer to understand the content of the service contract. It is advisable for you to use a conversational language as technical terms and jargon can actually mislead the customers when it comes to identifying specific clauses in the service contract. 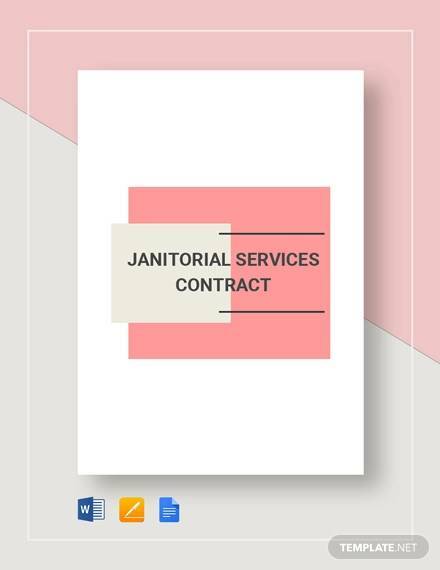 You can start by making simple service contracts. 3. Always provide the most current version of general service contract so to avoid disputes and misunderstanding. 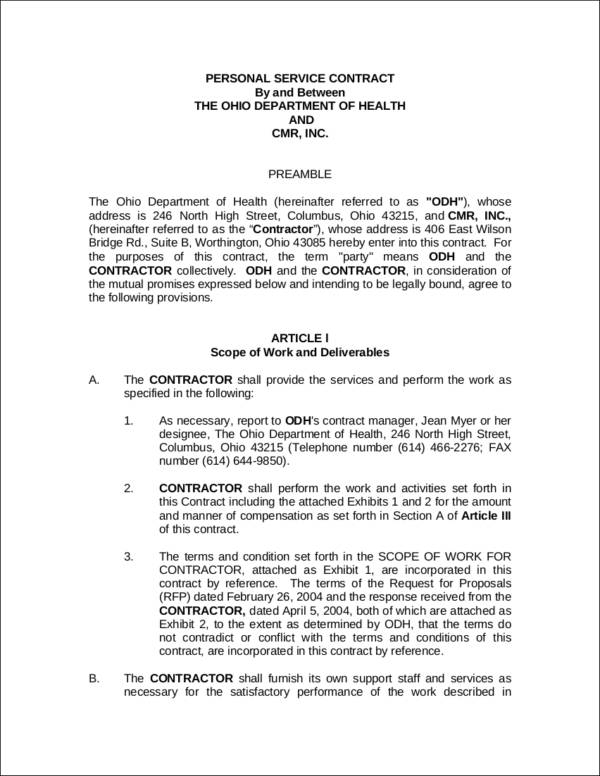 Since service contracts may change from time to time, you have to make sure that you will file and maintain the document based on the development that you have implemented within the duration of your operations. 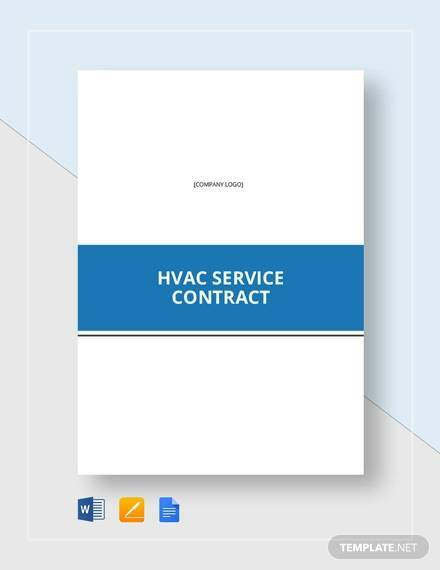 Prepared to Make Your Own Service Contract?